Thanks for the upload man! XD Now I have a new MBA BGM to work with. Sorry guys, but due to bandwidth limits, I won't be doing any shows this week. I plan to do a mostly-requests show or two next week to make up for it, though. Sorry it took so long. SendSpace Wizard was messing around with my uploads. Okay, I'm uploading all the requests I remember. If I've forgotten yours, just tell me and I'll have it up ASAP. Yeah, well, I do try to play all requests that are made, even ones that I can't stand (DAMN YOU HASHIRIYA!). Due to DJ Pikachu_Fragger being off the air for two weeks, I'll be covering for his scheduled shows this week and next week. 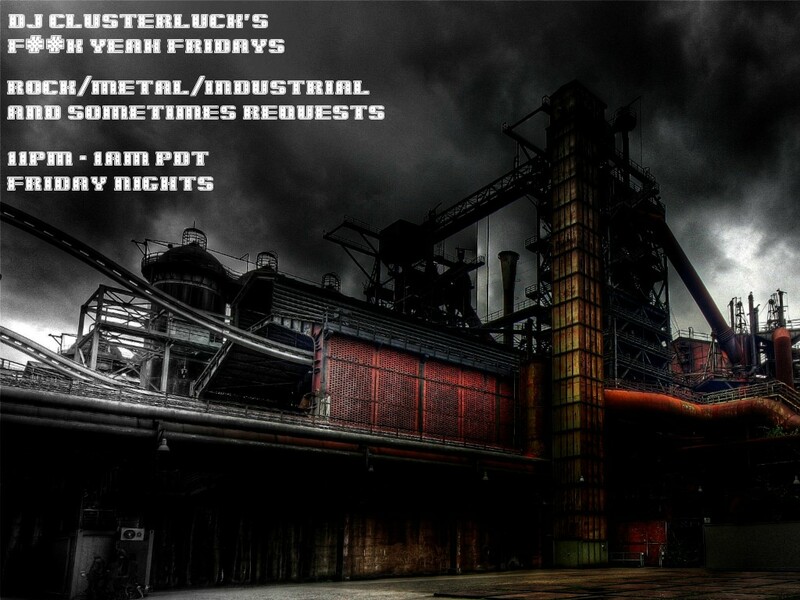 This week will be a rock/alternative/metal show, and next week'll be mainly requests, so feel free to send 'em in. EDIT: Actually, tomorrow's show may start slightly late due to prior engagements. hashi, feel free to go overtime. 1086 days? Three years? Goddamn, I really need to lift my game. So how would everyone like a return to Thursday night (PST) rock/metal/alternative/request shows? Thanks to my new work schedule, I now have half-days on Fridays and some 25-odd gigabytes of music that needs to be shared with the masses. So Thursday night/Friday morning? Sounds cool to me, I'd tune in! If Fragger isn't on next week, then feel free to do your show right after my Thursday set. Why does everyone have their shows on Thursday night/Friday morning? Anyhow, this is awesome. I'm tuning in for sure if time allows. If not I'm totally listening to the podcast while I drive. I need more metal in my life. Well, no-one said it had to be in my old slot now, did it? I could always move it to Friday nights PST, my Saturday schedule is generally pretty good. As someone who doesn't do shows anymore, I approve of this taking over of my timeslot. Shine on you crazy diamond. Well then, I'd best get on the preparations! Sounds great! Just so you know, I'm still reserving Saturday night, even if I can't make it every night. So what kind of year/period Industrial are we talking? I mean Saturdays AEST to fit with my work and school schedule, so don't worry too much. As for the music, all sorts. Everything from Kraftwerk, Laibach and Die Krupps through to newer, more EBM-styled stuff like Zombie Girl and Ayria. AHH, nice to see the ol' Düsseldorf Quartet in there!